AMPS Storage and Handling is the perfect solution to any grower who faces the dilemma of where to store their grain. Many farmers lack on farm storage space, so AMPS offer an alternative option for private grain storage. Across our two storage sites we have the capacity to hold over 35,000 tonnes of grain. At AMPS, we work with the growers and respond to their needs. We aim to ensure the site is open if there is a high demand to be met during harvest and we will be flexible with our operating hours to provide the best service possible. As a storage business, we are able to sample and grade your grain, as well as offer the storage solutions to best suit the growers needs such as grain drying. 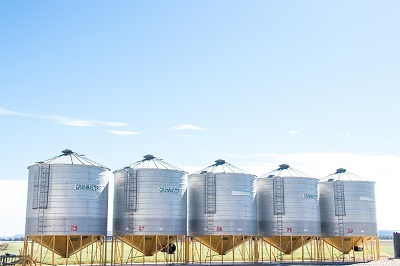 AMPS more importantly ensure the Grain and Storage team work closely together meaning growers who store grain with us are able to take full advantage of our independent grain brokerage service.